A Slip and Fall Attorney for Miramar, like Robert E. Gluck, is dedicated to the personal injury branch of the law. Robert E. Gluck has been representing clients with their slip and fall cases for many years. 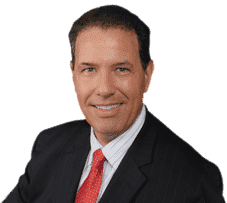 He first became an attorney in 1989, and has since then been recognized as a top personal injury attorney in South Florida. A slip and fall can happen in any location like a shopping mall, school, or bank, and it can happen as a result of falling on a wet or uneven floor, using a damaged product, or many other conditions. Robert E. Gluck is the right attorney to contact after your accident because he understands the associated law and procedure. Your slip and fall attorney in Miramar will only be able to start a slip and fall case if negligence has first been verified. Negligence happens when a reasonable person has failed to provide a certain level of standard care and it results in another person getting hurt. If the party is found guilty of negligence they will be responsible for your injuries. Hiring the right slip and fall attorney is very important as it can either make or break your case. It is equally important to hire an attorney immediately following your accident or incident. Do not wait and risk it, call Robert E. Gluck as soon as possible following your accident. Your Slip and Fall Attorney for Miramar will make a huge difference in how your case closes. Studies show an injured person is more likely to receive a higher settlement if an attorney is representing the injured party. Robert E. Gluck will fight hard for your rights and give you the respect that you deserve. With him at your side you will feel less stressed and your chance of winning your case will be significantly improved. Feel more confident by hiring Robert E. Gluck to represent you in your slip and fall case. With your Slip and Fall Attorney for Miramar working hard on your behalf your chance of receiving a settlement are greater. Robert E. Gluck will find witnesses and obtain their witness statements. He will take pictures of the accident scene and locate video footage. He will evaluate the property for damages, and gather all of the information he can find that can be used as evidence to support your case. Robert E. Gluck will work efficiently and in a timely manner to try to get you the settlement you deserve. Hire him today for a better chance to win!